Numerous users could have observed our gleaming new begin watercraft “Juicy Isle” gracing the lake in recent weeks. 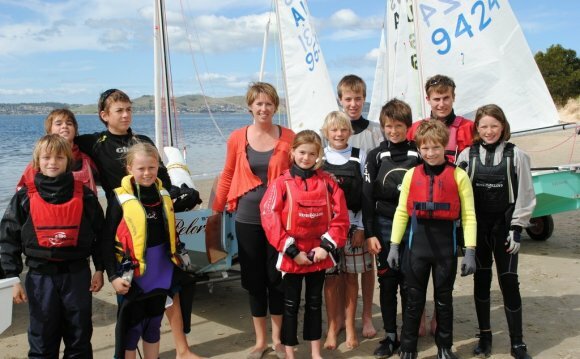 The Sandy Bay Sailing Club committee on the behalf of all members and other nearby clubs wish to thank the Tasmanian Community Fund (TCF) who supplied the majority of the investment necessary to finish this extremely important project. The start ship had very nearly achieved the end of its life and trained with ended up being customized from a family cruiser suffered from many Work Health and Safety issues along side numerous functional compromises. The aim of the refurbishment would be to pull WH&S problems and enhance the functionality to allow continued safe usage by SBSC members and notably other groups in the region. 6. Brand new fuel container system. The finished item is currently gleaming and back in active service in addition to objective of creating it less complicated and safer to use has-been attained. The boat is currently used regularly by the Royal Yacht Club of Tasmania, Yachting Tasmania and our cousin club the Derwent Sailing Squadron.